On my way back from New Zealand, I had another layover of almost 24 hours, just as I had on my way there. 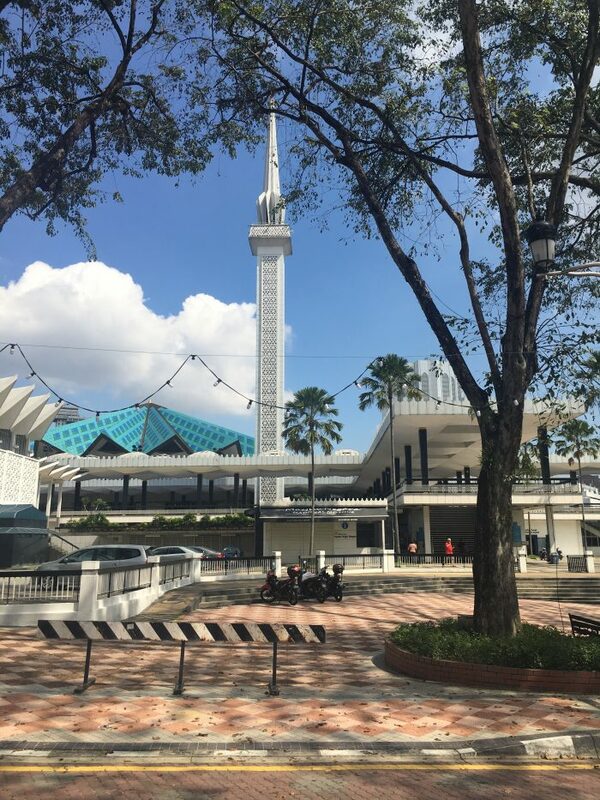 You can read all about my first layover in Kuala Lumpur here. Thanks to a shorter journey & better schedule on my way back through, I was able to get a bit of sleep in my hotel, the Le Meridien Kuala Lumpur, before waking up early. I watched the sun rise while taking a relaxing bath. 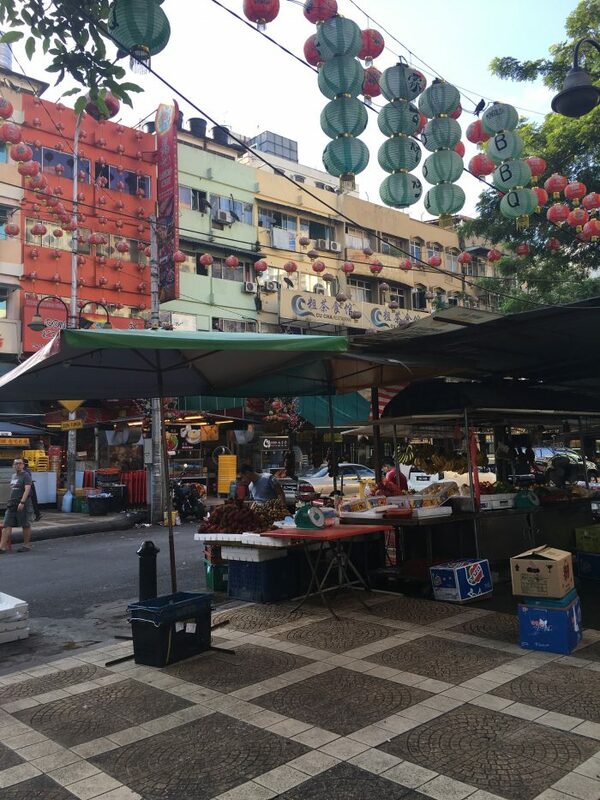 My first stop in the morning was Jalan Alor, an area of the city famous for its street food & nightlife. Unfortunately, as I somewhat expected, the area is much better to visit at night, but I wasn’t able to due to my schedule. 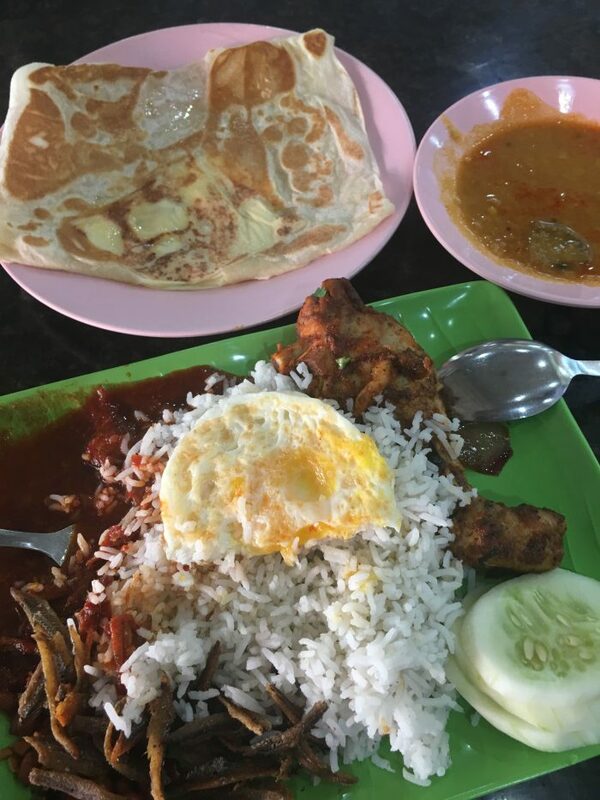 Not many places were open, and the main street food stall I had been looking forward to trying, a place that sells Malaysia’s famous nasi lemak, was nowhere to be found in the spot it was supposed to be in. 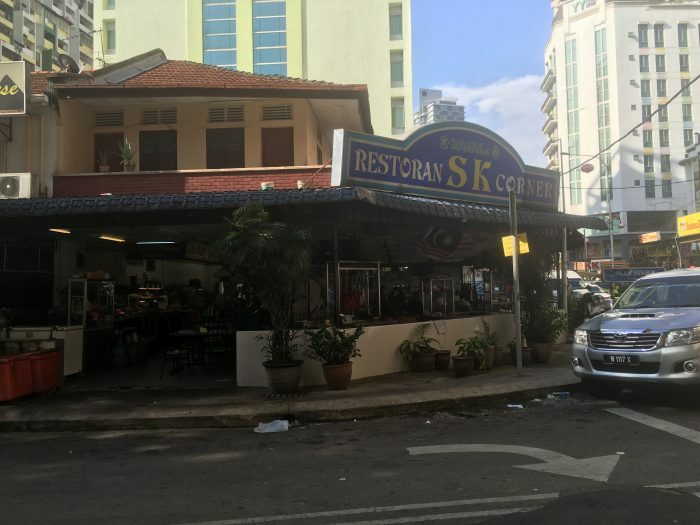 I walked around checking out my food options, eventually settling upon a place called SK Corner that sells are variety of Indian & Malay dishes on a large patio. Here I had some nasi lemak with coconut rice & ayam chicken, roti with keju cheese, and mango juice. Everything cost 16 RM, which is under $4 USD. It was the sort of area I would have liked to have eaten more in, but thanks to the heat and humidity and lack of open restaurants, I decided to walk around a bit more. 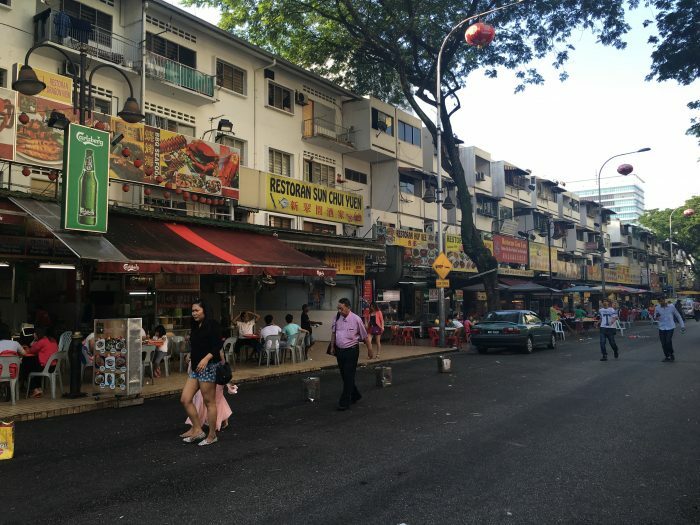 I wished that I had been able to visit Jalan Alor at night when everything is open. 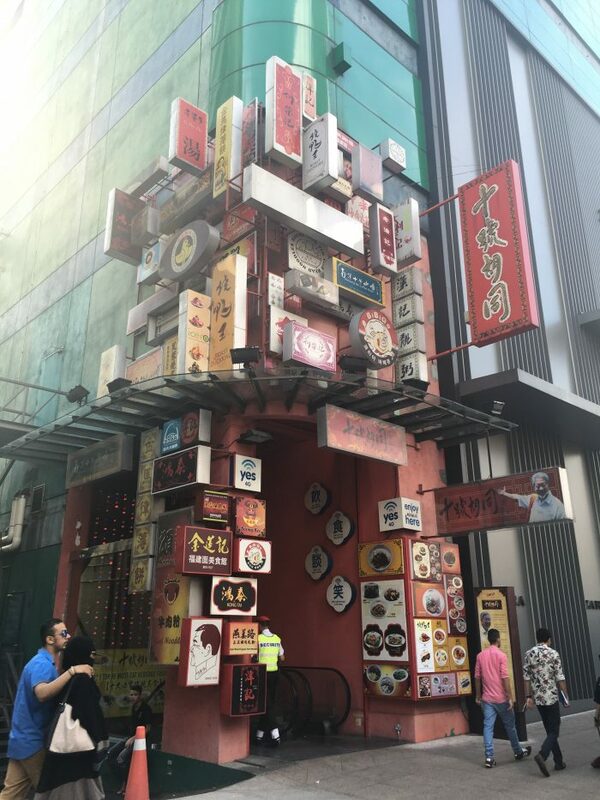 I walked around central Kuala Lumpur for a while longer. I passed a place called Hutong that was advertising street food down in a basement of the Lot 10 Shopping Center. Intrigued, I took the escalator down to check it out. 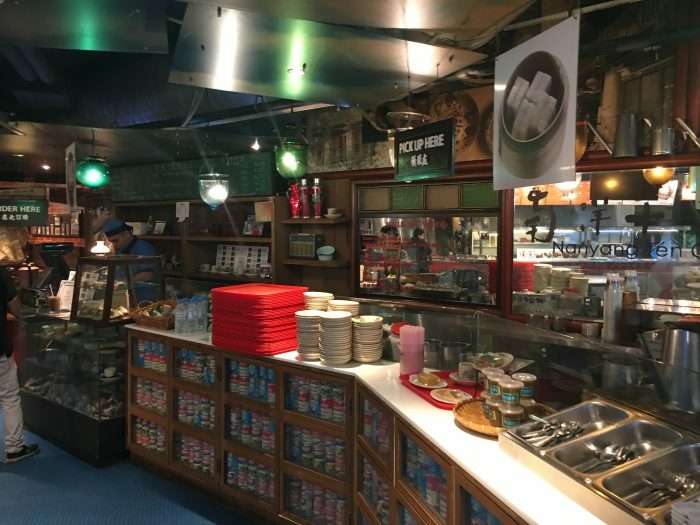 This basement hides dozens of small food kiosks, selling a variety of cuisines, most of them with regional influence. 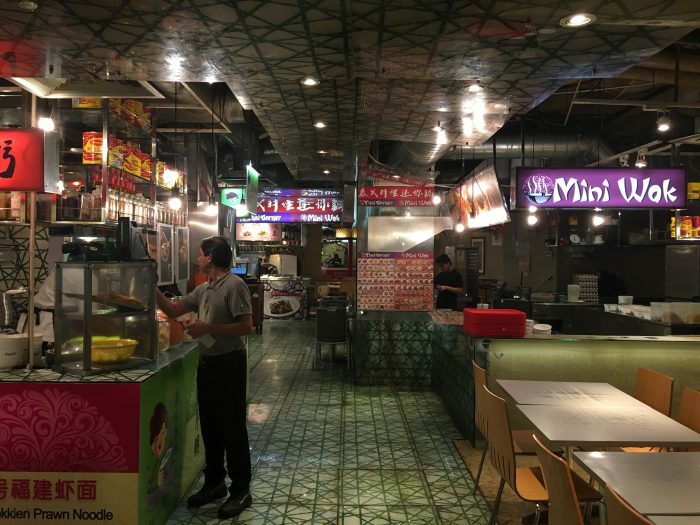 I can’t speak to the quality or authenticity of all of the food stalls in Hutong, but it’s a good way to try lots of different local foods, and it does seem to have positive reviews. The fact that it has air conditioning is also a major plus. 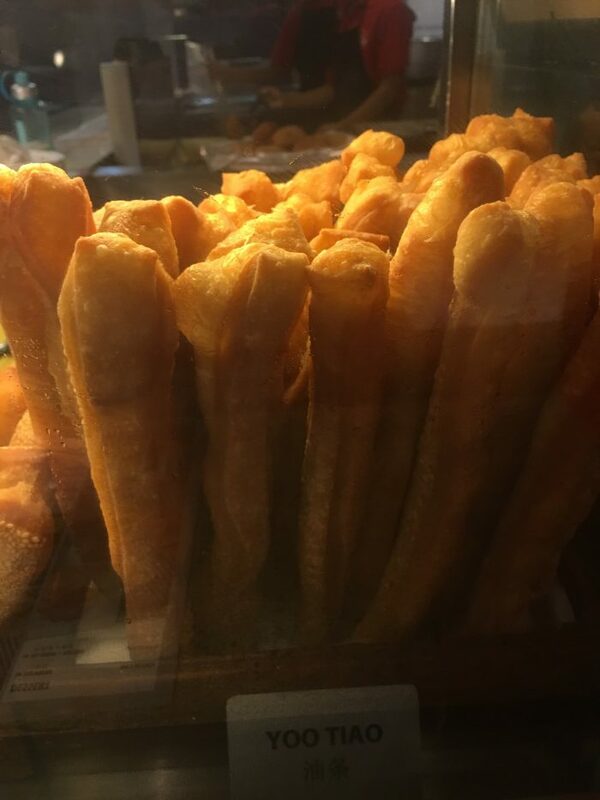 I wasn’t too hungry, but there’s always room for a local fried pastry, so I had a piece of fried dough called you tiao, which originates from China. After Hutong, I headed back up to the street level. 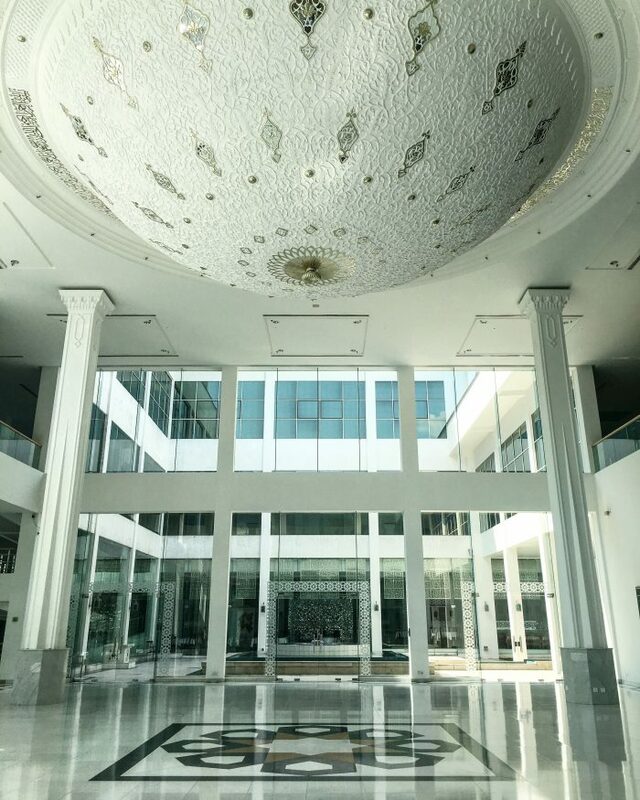 My next destination was the Islamic Arts Museum Malaysia. I took the monorail back to KL Sentral. From there, I was going to walk to the museum, but then I realized that it was only 1.20 RM (25 cents) to take the train one stop to Kuala Lumpur station. That’s a no-brainer in this heat & humidity. There weren’t many signs to help guide visitors from the train station to the museum, so it was nice that I had internet service via T-Mobile. About halfway through the walk, there were finally a couple of signs. 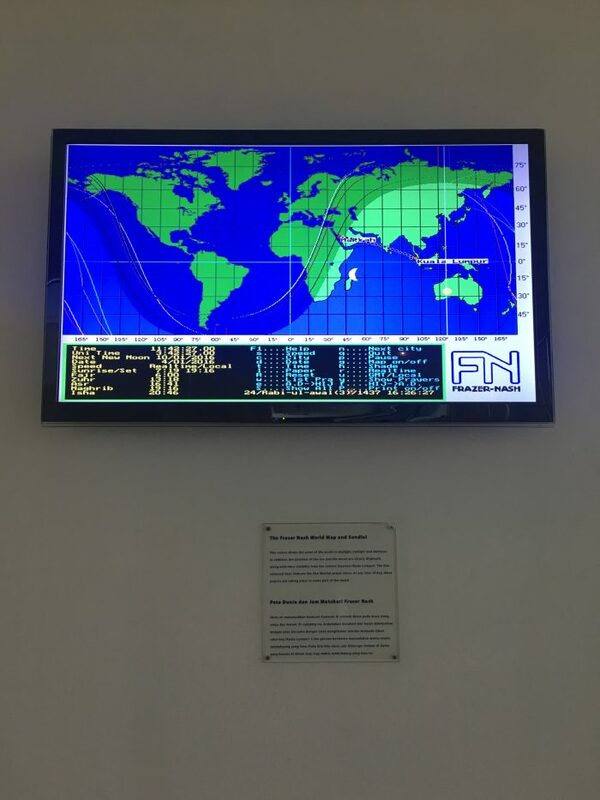 While the museum isn’t too far from the station, it’s a bit of a maze to get there, so research beforehand if you want to find the most direct route. Across from the Islamic Arts Museum Malaysia is the National Mosque of Malaysia (Masjid Negara), so you can spot that as a landmark. 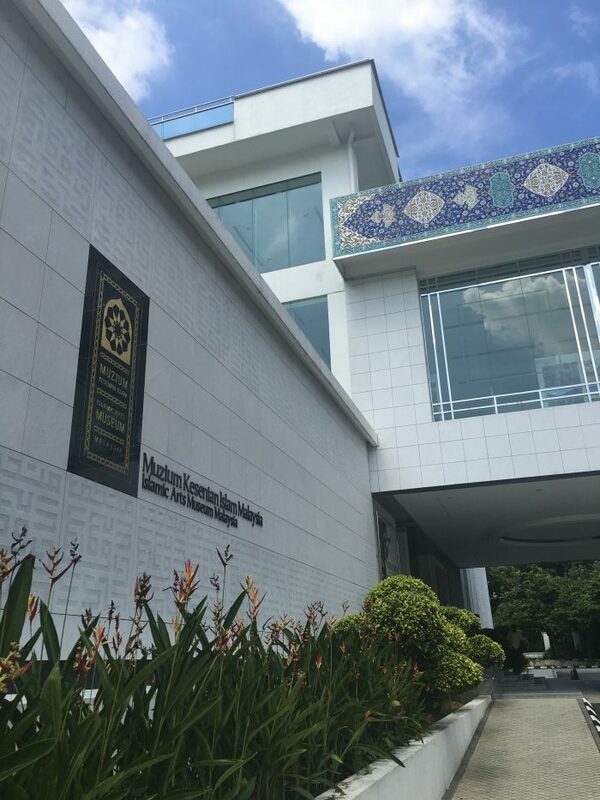 The Islamic Arts Museum Malaysia is one of the finest museums I have visited. 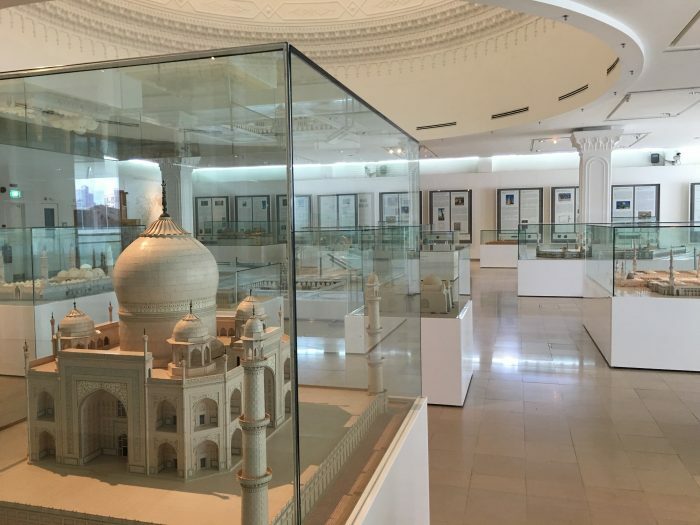 As you would surmise from the name of the museum, its exhibits are all about the Islamic arts.Admission is 14 RM (under $3.50 USD). Yes, there is air conditioning, making it a great place to spend a hot afternoon. 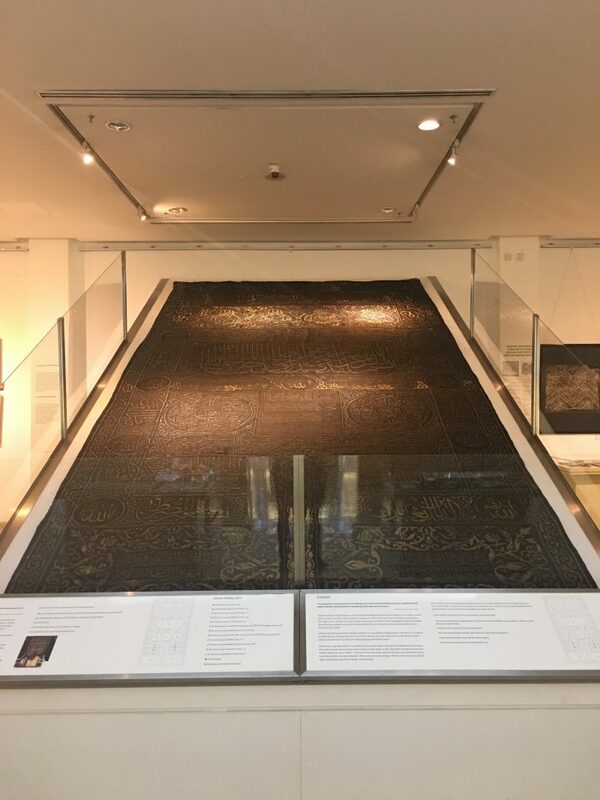 Islamic arts cover everything from mosaics to textiles to architecture to photography to weaponry to even the Koran itself. 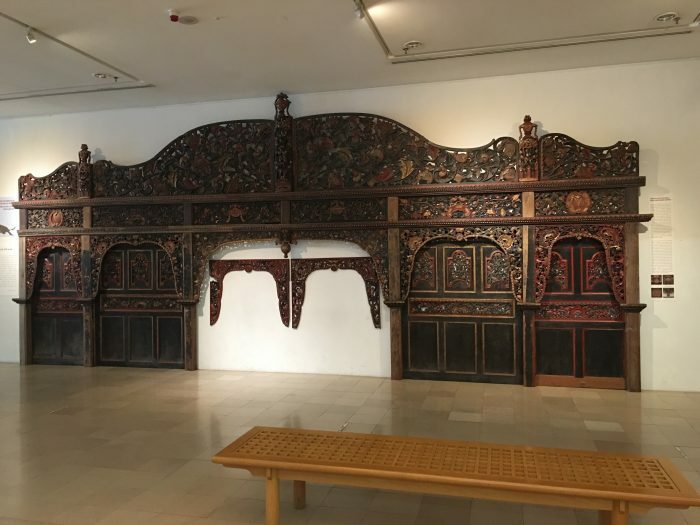 The museum was not just about Malaysia, but all of the Muslim world. 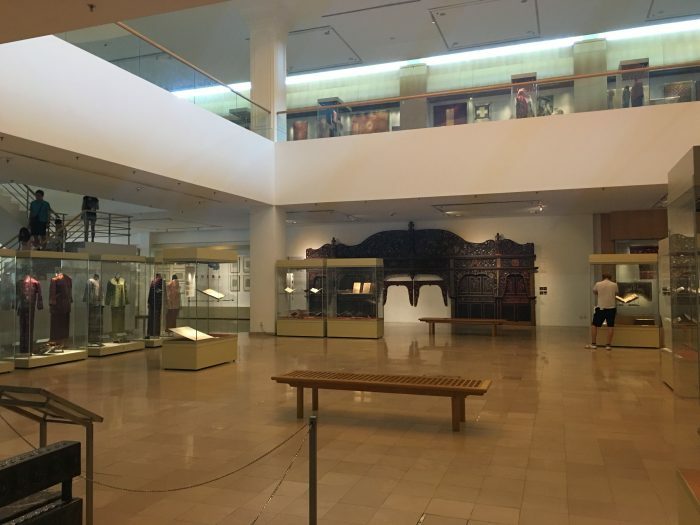 In addition to pieces from China, Malaysia, India, and elsewhere, there were also special exhibits from Egypt & Pakistan. The first was about the tentmakers of Cairo, known as Khayamiya. 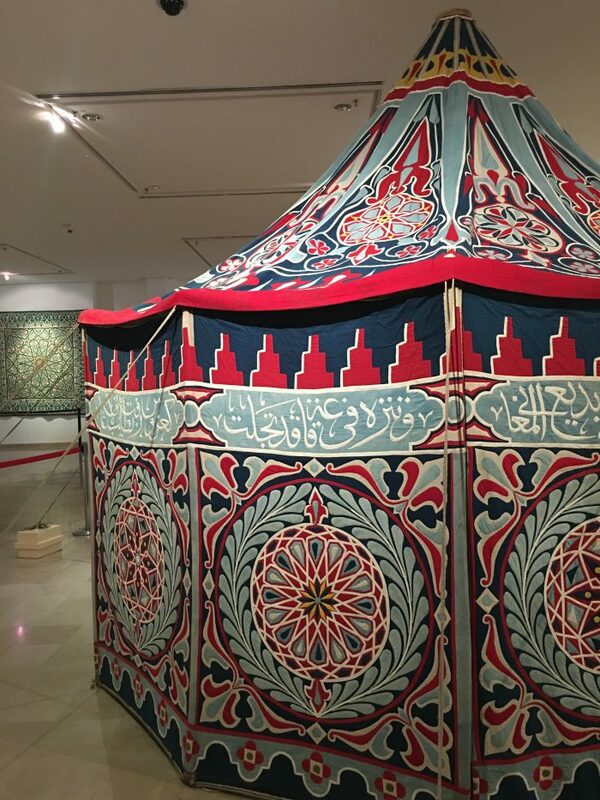 These beautiful tents are made of panels of bright colors & patterns. You can learn more about the craft here. 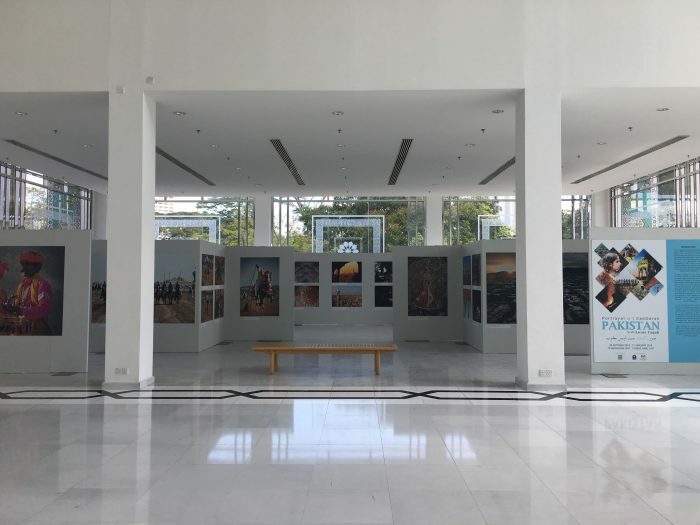 The second special exhibition featured the photography of modern Pakistan. I love repetition & geometric patterns. 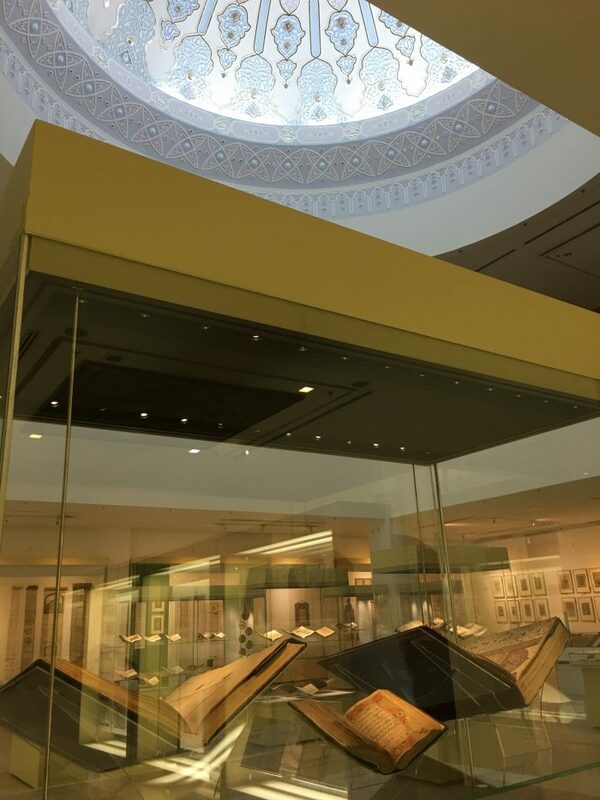 Islamic art & architecture showcases these elements. 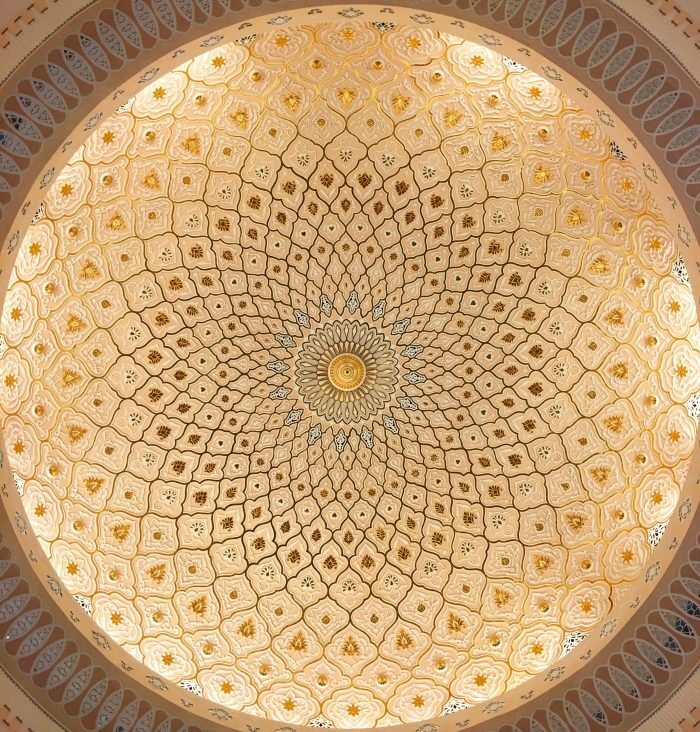 These simple, yet intricate designs are simply gorgeous. The building itself utilized these geometric patterns as well. 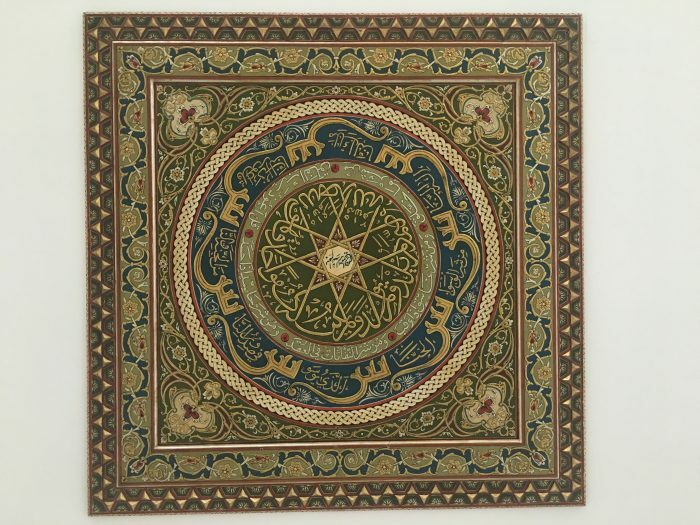 I found the Islamic Arts Museum Malaysia to be fascinating. Part of this was because as I mentioned, I just love this style of art that features repetition & patterns. But also, it was a fantastic way to learn about Islamic culture. In the United States, we are constantly bombarded by idiotic ideas that all Muslims are evil, and while I know this is not true in any way, that the fringe fanatics of any religion are a danger to the world, it’s important to learn about and experience other cultures firsthand. 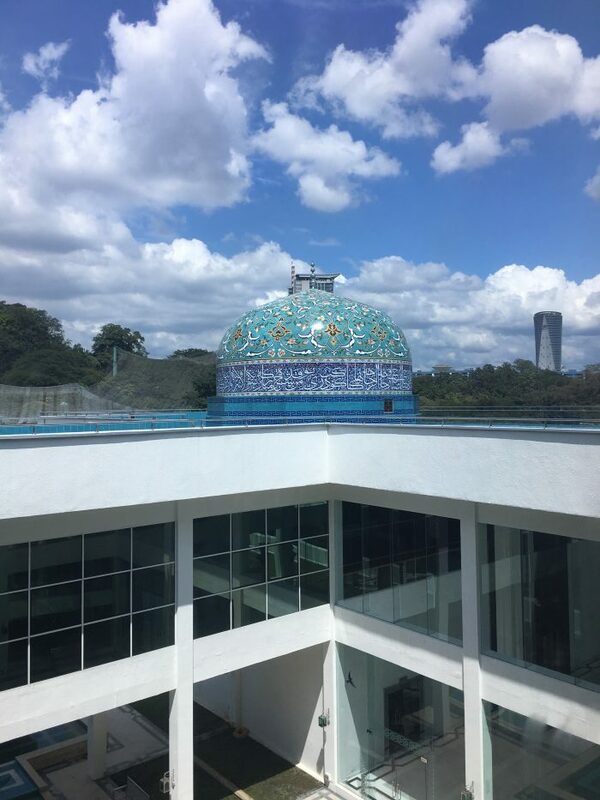 The Islamic Arts Museum Malaysia is a great place to learn about Muslim culture & experience all of the ways that Islam has contributed to the world in artistic ways. Most art museums around the world focus on European art or only local art, so this was a refreshing change. 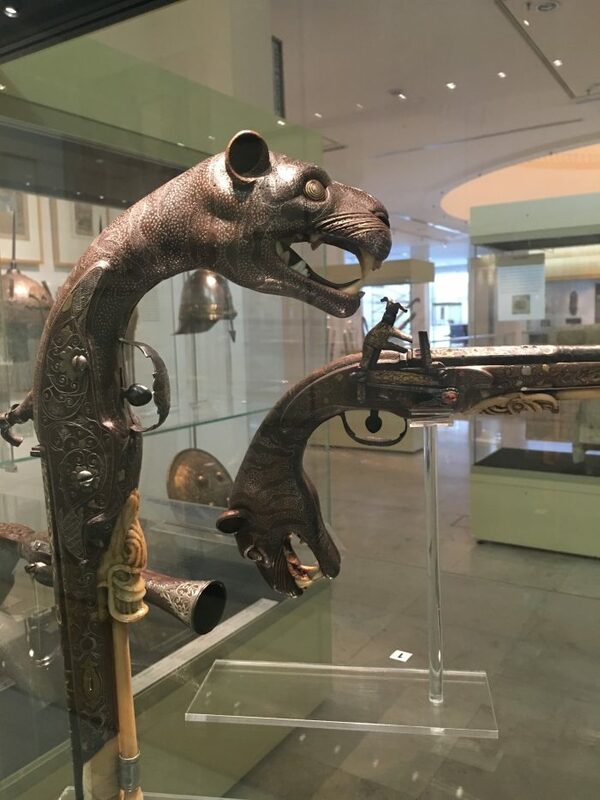 I recommend the Islamic Arts Museum Malaysia to anyone who is visiting Kuala Lumpur, even if you’re just there on a quick layover (and not just because of the air conditioning). 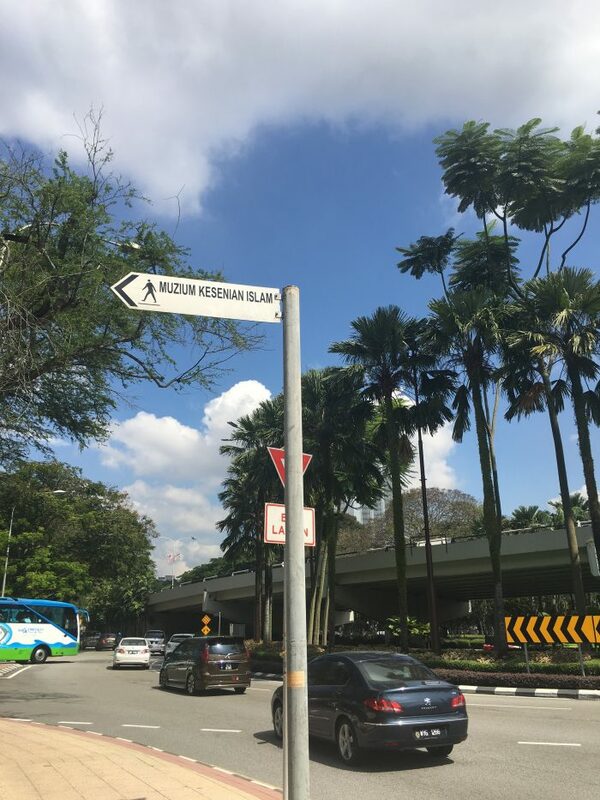 I enjoyed both of my visits to Kuala Lumpur, and it was a great reminder that while cultures may differ, we can all learn a lot from each other, especially in this time where there is so much blind hatred & bigotry in the world.